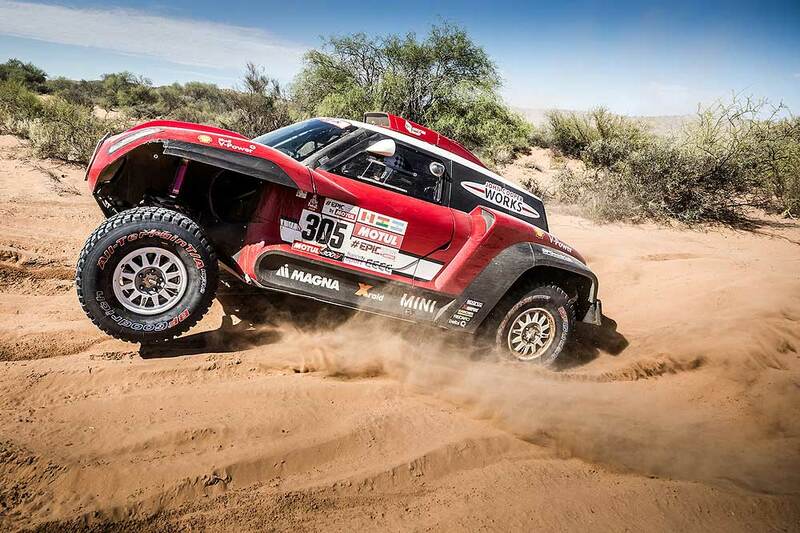 A Dakar-rally with surprisingly mixed emotions for the X-raid Mini crews. The Dakar rally became back from South American WRC-style to African offroad-style and this forced many comepetitors to retire - in the cars from 92 crews only 43 reached the finish line. X-raid Mini was well known as a winning company, especially between the time of the Volkswagen- or Peugeot-"Monsters". In this year, only one of the Minis reached the top ten. The Germans were not only beaten by the again unbeatable Peugeot, also Toyota reached a new level - and the Germans had a lot of misfortune. Nani Roma had bad luck rolling his Mini shortly before a stage-finish. Saudi Arabian Al Rahji had problems to find the right way and parked his car even in the ocean. US-American SCORE-driver Bryce Menzies was driving too fast for the nearly untested Buggy, the rear suspension showed it´s maybe physical limit which ended in a spectacular crash - which remembers fans of the early Bowler Nemesis. 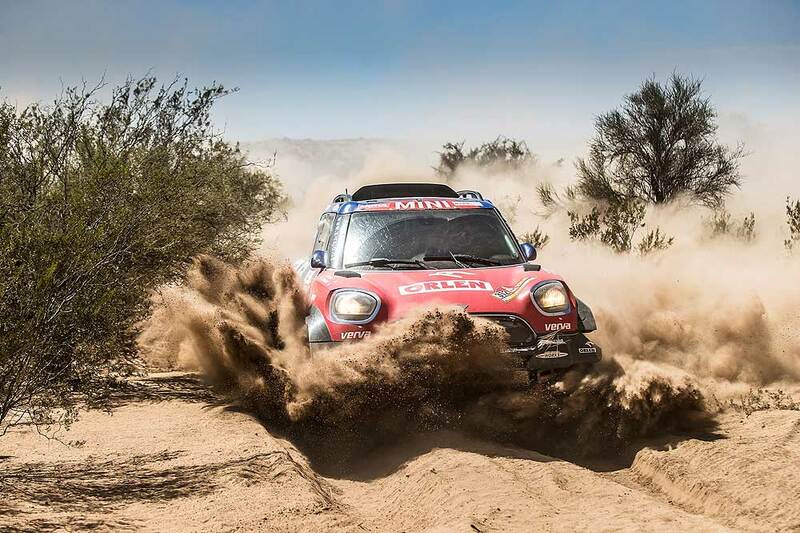 The greatest achievement has been that of Jakub Przygonski from Poland and Belgian co-driver Tom Colsoul who secured the 5th place overall in their 4x4 Mini. 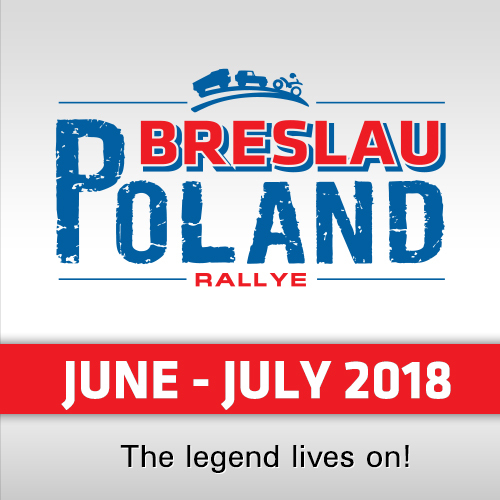 Przygonski’s previous Dakar experience and the misfortune that befell some of his fellow X-raid crews in this year’s edition of the race, urged the Polish driver to exercise some caution and take a safe and steady route to the front of the field. 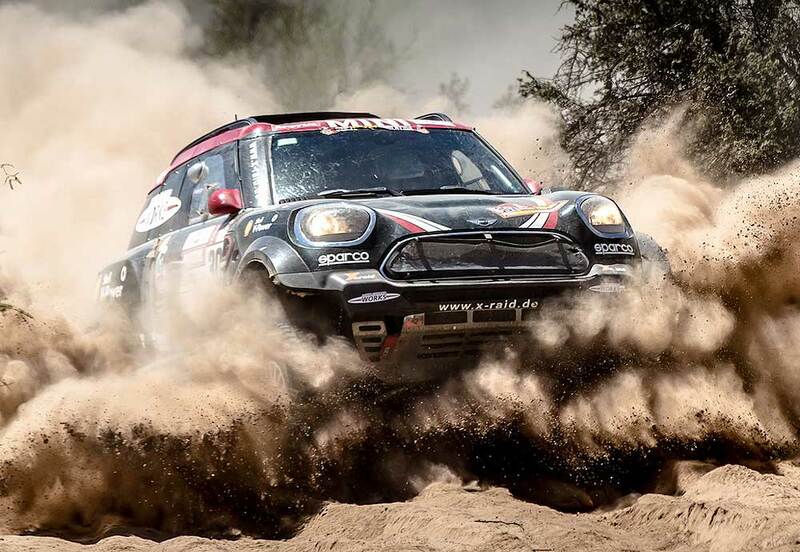 His sensible approach paid off with him taking the accolade of first Mini to complete the 2018 Dakar. "We are so happy to be at the finish. It was a tough race and not so easy, reported Przygonski. "We checked and all of guys in front of us are very experienced at Dakar so we are happy to be in such a good group. I am one of the youngest, for sure, in the top five and top ten so I think we have to get some more experience and then we will be really, really fast. It was a good race for me and Tom, we had a good connection inside the car and our car was really good. For sure, the car was better than last year with less weight and better suspension and tyres. We had no issues all race, the car was definitely faster and everything worked really good for us." Argentinian Boris Garafulic and his navigator Filipe Palmeiro from Portugal showed a goog pace and finished 13th overall as the second-best Mini. The debut of the last left Mini-Buggy of Mikko Hirvonen from Finnland and Andreas Schulz from Germany ended in 15th position but Hirvonen believes in the future of this Buggy. "It’s been an amazing adventure again even though we didn’t get the result we wanted," said the Finn after the race. "It was definitely the toughest Dakar I have done even though I don’t have a lot of Dakar under my belt yet. This one is how I always imagined it would be and it was a tough two weeks but really fantastic." He added: "It’s a shame we didn’t get the result because the mechanics and the whole team worked so hard before Christmas to get everything ready. But, still I think everybody can be happy with the car they built because we were really quick in some places, even though the stage results didn’t always show it due to some mistakes. I think we can be really proud of what the team has done in the last six months – this Dakar has been hard work for everybody." The Argentinians Orlando Terranova and Bernardo Graue in some days were the fastest 4x4-Mini, they finished 20th overall. "Difficult two weeks for the whole team," said Orlando Terranova. "We never had a clean stage this year, with different problems of navigation or mistakes, but the only good thing was to push when we could in some stages and feel that the car was fast and we were on the pace. It was not a good Dakar for me but we need to analyse now and work out how to improve. The car is amazing; the response of the engine and the new package of suspension and tyres is very good." 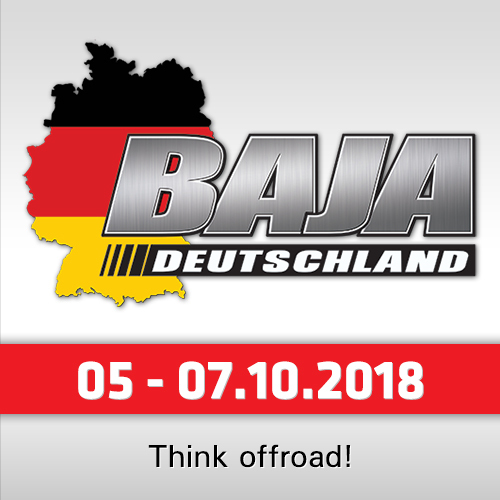 X-raid Team Pricipal Sven Quandt summarized: "It was quite a mixed Dakar; from the drivers’ side I think there were unfortunately some mistakes that pulled us back quite a bit, but on the technical side we were astonished. The new Mini Buggy was really impressive and lasted without any problems. 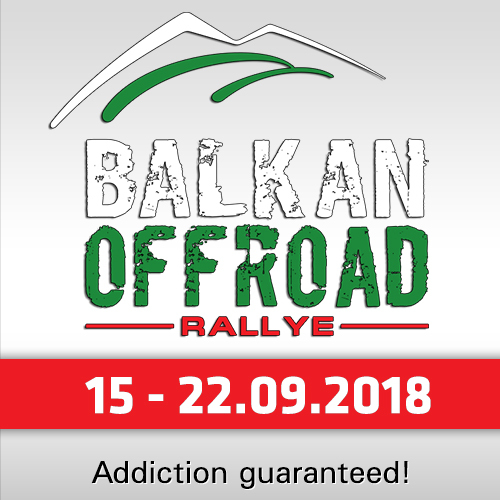 Performance-wise it really showed that this is the right weapon for the future but the Mini John Cooper Works Rally (4x4) was also good and, until Nani (Roma) dropped out early due to a big hit in the car, we were in a good position." "From a safety side, the cars were incredible; you could nearly make any roll and nobody was in jeopardy. Even if the car was 20 or 40kg heavier it didn’t matter because we had super-safe cars and that’s the most important thing for this race. Kuba (Jakub Przygonski) did an incredible performance – driving very steady all the way through from the beginning. Fifth place is an incredible result for him. He shadowed the leaders throughout the race, getting closer to the front and nobody was watching him. He and Tom made no mistakes – this is how you do a Dakar."